Cora Berliner, fifth and last child of a prominent intellectual Jewish family in Hanover, studied mathematics for two semesters before shifting to political economy (political science and economics). In 1916 she earned her doctorate and took a position as department head (Dezernentin) in the city administration of Schöneberg. In December 1919 she entered the national civil service, becoming an official in the Reich Economics Ministry (Reichswirtschaftsministerium) of the Weimar Republic. Her high level of expertise and confident manner soon made her a sought-after colleague. Ministerialrat Dr. Hans Schäffer, whom she had met in 1920, took her into his department, where she helped shape the National Economic Council (Reichswirtschaftsrat). In 1923 Berliner became a Regierungsrätin (government official) and one of the leading figures in the national Office of Economics (Reichswirtschaftsamt). In her various functions she had dealings with the most important persons of the Weimar Republic. From 1924 on she was assistant to the director of the National Office of Statistics and was involved in shifting the German trade policy to a gold standard. Berliner’s reputation as a highly competent expert in all economic questions grew steadily, and in 1927 she served for half a year in London as economic adviser to the German Embassy. In 1930 Berliner became Professor of Economics at the new Institute for Vocational Pedagogy (Berufspädagogischen Institut) in Berlin. In the spring of 1933 Cora Berliner, like many other German Jews, was dismissed from the civil service. The National Agency Representing German Jews (Reichsvertretung der deutschen Juden), established by Jewish Germans in 1933, soon assigned her responsibility over economic and social issues; she was active in the Press Department and also directed the Statistical Department for some years. 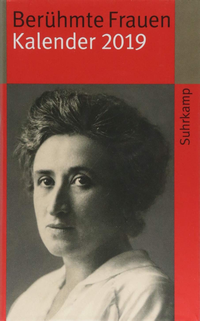 In addition she took on the correspondence of the Reichsvertretung from time to time, she attended meetings of its board of directors, represented it as official economics expert, gave lectures and wrote articles. She felt herself responsible for emigration, that of women in particular, and because of her efforts a comprehensive emigration program was carried out. After the night of pogroms in November 1938 the office of the Reichsvertretung was closed and most of its male leaders were arrested. Later in November they were released, and the Reichsvertretung was directed by the authorities to accelerate the emigration of Jewish persons. In February 1939 the Reichsvertretung was forced to call itself Reichsvereinigung der Juden in Deutschland (RV), (Reich Union of Jews in Germany). After September 1939 it was basically deprived of all rights, and membership was obligatory for all German Jews. Berliner became one of the leaders of the migration department. Her area of responsibility included „general emigration (Assistance Organization), information, statistics, women’s emigration.“ While Berliner fought to make emigration possible for those entrusted to her and for her friends and relatives, she consistently resisted saving herself, saying she couldn’t leave before helping all those who relied on her. On 22 or 24 June 1942 she was deported along with other leading colleagues from the Reichsvereinigung; nothing is known of the remaining stations of her transport. Recent research indicates, however, that presumably she and all those deported with her were murdered in Maly Trostinez near Minsk. Besides her professional activities Cora Berliner was active in volunteer work from an early age. At 16 she worked with the Jüdische Bahnhofshilfe (Jewish Train Station Assistance). In 1909 she taught in a program for workers (Akademische Unterrichtskurse für Arbeiter) and during her university studies began her multifaceted contributions to the work of the Verband der jüdischen Jugendvereine Deutschlands (VJJD - Union of Jewish Youth Organizations in Germany), as whose director (1912 – 1914) and board chair (1919 – 1924) she served. 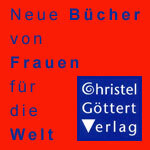 In 1916 Berliner was elected to the board of the newly founded Deutscher Verband der Sozialbeamtinnen (DVS – German Organization of Women Social Civil Servants). Re-elected in 1917, she declined to be a candidate again after 1925. From 1934 on she was vice-president of the Jüdischer Frauenbund (JFB – Jewish Women’s Federation). Even under the National Socialist dictatorship Cora Berliner found ways to make her knowledge available as a teacher, through courses for teacher development and for social workers. And she wrote from time to time. 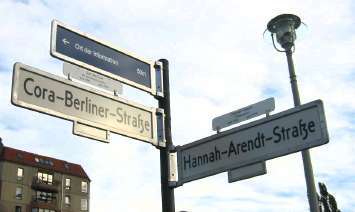 Not until 2005 would Regierungsrätin Dr. Cora Berliner be recognized through the naming of a street in her honor near the Holocaust Memorial in Berlin; in this way she emerged somewhat from the shadow of her male relatives, which had hidden her so unjustly and for so long.